What if I told you...in the future your car would be able to stop on it's own without any help from the driver. OK, now what if I told you, that technology was here today, and in use on today's automobile. It's true...many of today's vehicles have the technology to stop by themselves. What if in the future accidents could be eliminated completely...science fiction? Hardly. The first step toward this concept happened many years ago when Anti-lock Braking Systems (ABS) started showing up on cars. This technology prevents the wheels from locking up, during a full panic stop, so the driver can maintain steering control . ABS relies on wheel speed sensors to determine the rate of wheel speed deceleration and uses the data to prevent the wheels from locking up. The next step in the development of this technology was Traction Control Systems (TCS) which incorporated ABS and the engine management system to reduce wheel slip during acceleration. If one of the wheel speed sensors noticed wheel spin, the engine management system would reduce engine torque by closing the throttle and reducing timing which would allow the spinning wheel to regain traction. Electronic Stability Control was next. This technology incorporated several new sensors... including a steering angle sensor, an accelerometer... as well as a yaw rate sensor to monitor the pitch, roll and yaw of the vehicle. The next advance in the brake system evolution was Predictive Emergency Braking (PEB). This new system provides automated emergency stopping when unexpected hazards happen. Radar keeps an eye on the road and can react very quickly if a hazard occurs or the driver becomes distracted. Many of these systems will safely bring the vehicle to a complete stop with no driver input at all. That's where we are today. There are many more safety features coming down the road in the near future and the current systems are being improved upon all the time. Things are changing very quickly in the world of automotive technology , but we are here to help. So give is a call here at Kool Kar Auto Repair. where stopping your car from 60mph to zero is important too. 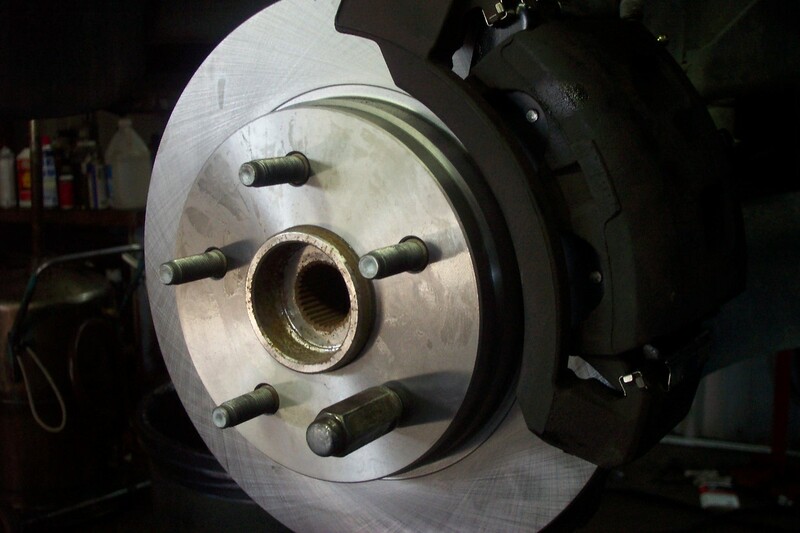 Kool Kar is your Number One source for Brake Repair located at 615 S.E. Parkway Azle Tx 76020 Call 817-270-2549 today.